From what I've been told on numerous clearance Items....its up to the store manager usually as to what gets clearance and how much of a mark down. So even though one store may have a certain price another may be totally different. I spoke to the manager at a Lowes store in NY and he told me that it is not up to the store. He said it is up to corporate. He said whilst the grill shows as a current stock item in their system there is no room on the price at all. He said for me to keep calling to see if they might go on sale soon. Well, around here I've seen the same clearance item priced different at 3 different stores in a 15 mile radius. Who knows. Not surprised to see KJ's price going lower. They're over producing it to deal w/ possible 25% import tax and a new flood of kamados coming town. I just spent a couple of days in the Wuxi region that's producing almost all the Kamados in the world. Every factory is cranking out containers of grills, at this rate by year end a 22" Kamado will be around $500 all day. Holy crap that is awesome. 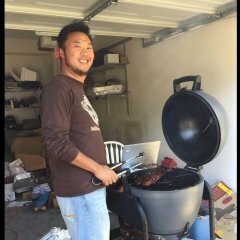 I am looking for my first Kamado, torn between Big Joe and slow n sear kamado. Nice score.